More on Johannes Jaeger’s research here. In evolution, as in the study of complex disease, the connection between genotype and phenotype is far from trivial. The complex, non-linear nature of the genotype-phenotype maps poses many challenges. In the case of developmental evolution, this map represents complex networks of interwoven regulatory processes that lead to pattern formation and morphogenesis. The internal organisation of these processes not only defines the developmental repertoire, but also the evolutionary potential, of a system. With my research group, I have pioneered new methods to reverse engineer the causal-mechanistic structure of the genotype-phenotype map in a particularly accessible developmental system: the gap gene network involved in segment determination and pattern formation during early development of dipteran insects (flies, midges, and mosquitoes). I will present a conceptual overview of our approach, and will illustrate the theory with the case study of a comparative analysis of gap gene network function and evolution in different species of flies. 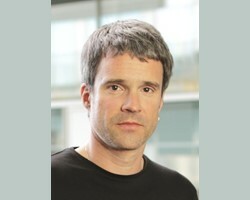 Johannes Jaeger is at the Complexity Science Hub Vienna, Josefstädter Straße 39, 1080 Wien.